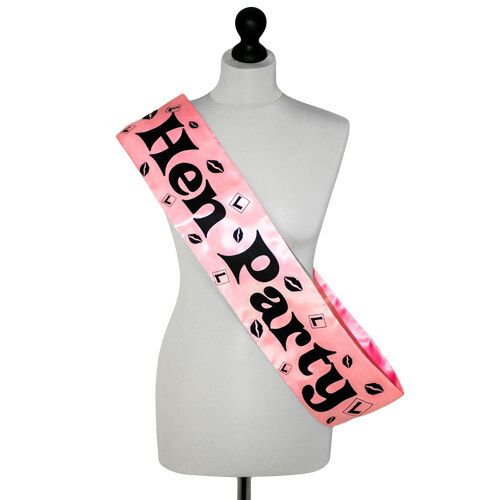 The bride to be will look absolutely stunning wearing this gorgeous pink and white hen night sash. 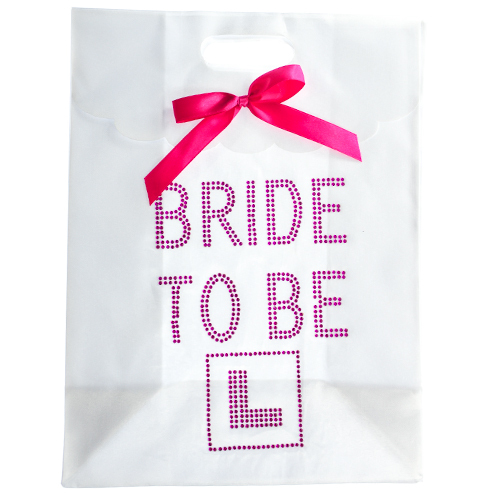 With pink bride to be writing and pretty hen night diamantes, the leading lady will sparkle like a star on her big night! 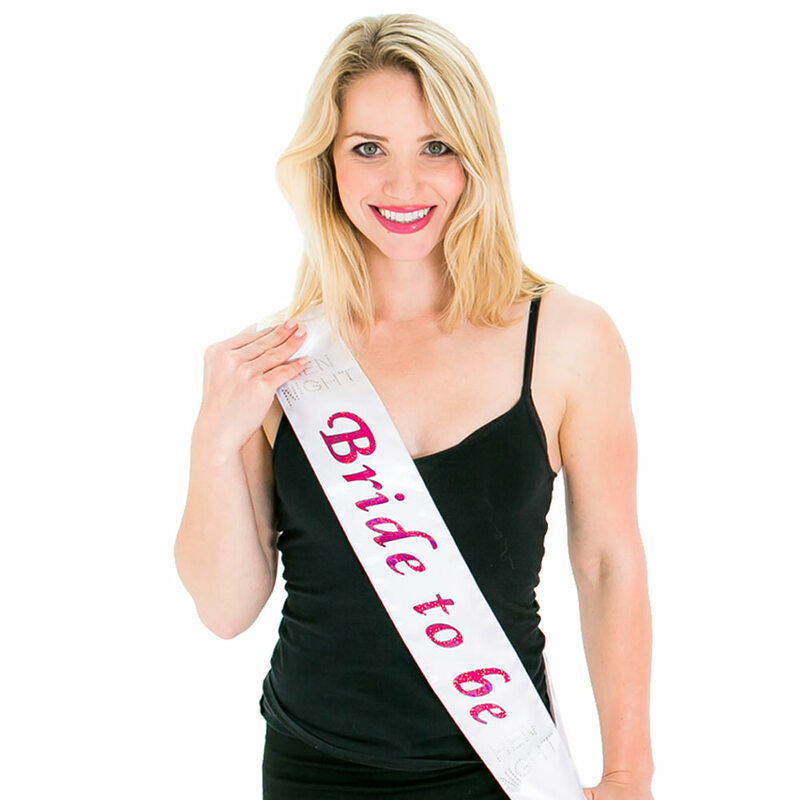 A sash is great way to spice up any hen night outfit which will lead to the much desired result of making the bride stand out and shine above the rest. 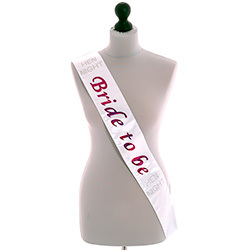 Why not get all the girls involved for a sash themed hen night and take a look at our full range hen party sashes below. "Excellent quality and stylish! " "High quality and the colour combination is great for a classic-look, matched well with the veil." "Exactly what I ordered, thank you." 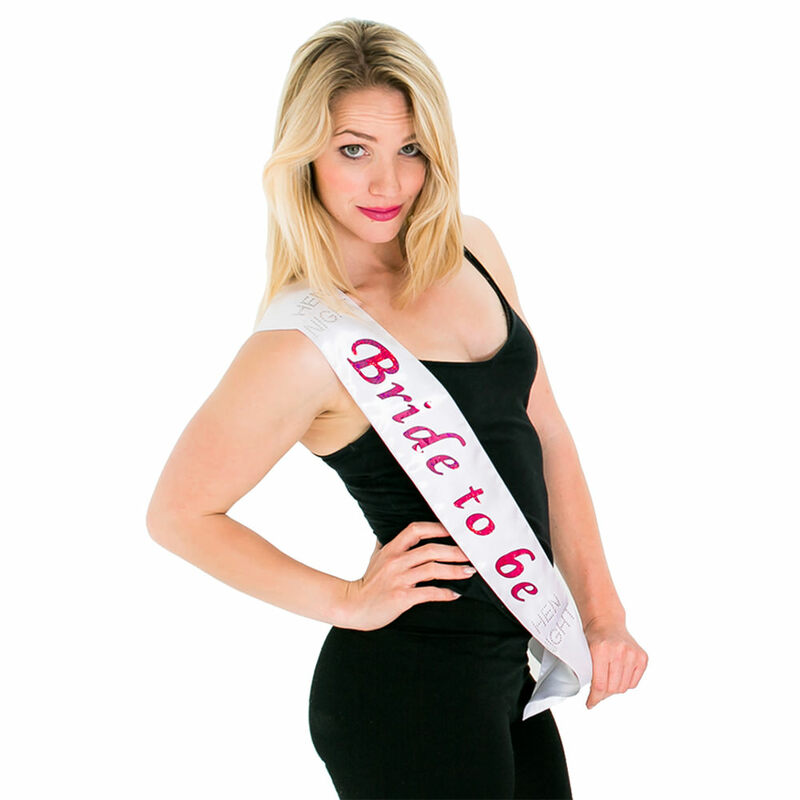 "Bride to be was dead against wearing any tacky hen stuff, but I got her this and she loved it as it was such good quality and quite sophisticated." 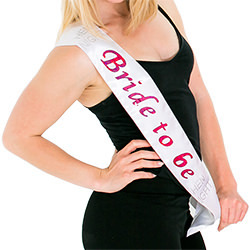 "The sash was nice, however was disappointed as it was very dirty, despite being in a sealed packet. It was too late to return when I realised." "Loved it, great quality product." "Good quality - nicely printed." "Lovely sash. 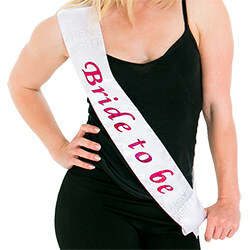 A bit more classy than the average hen sash especially in Benidorm =} Looked great!"